Reggio Emilia is an educational philosophy and approach which children are considered as social beings and active agents in the constructions of their own learning. Children are encouraged to represent their ideas and understanding through ‘hundreds languages’ or modes of expression through speaking, drawing, writing, painting, building, sculpting, music and a lot more. 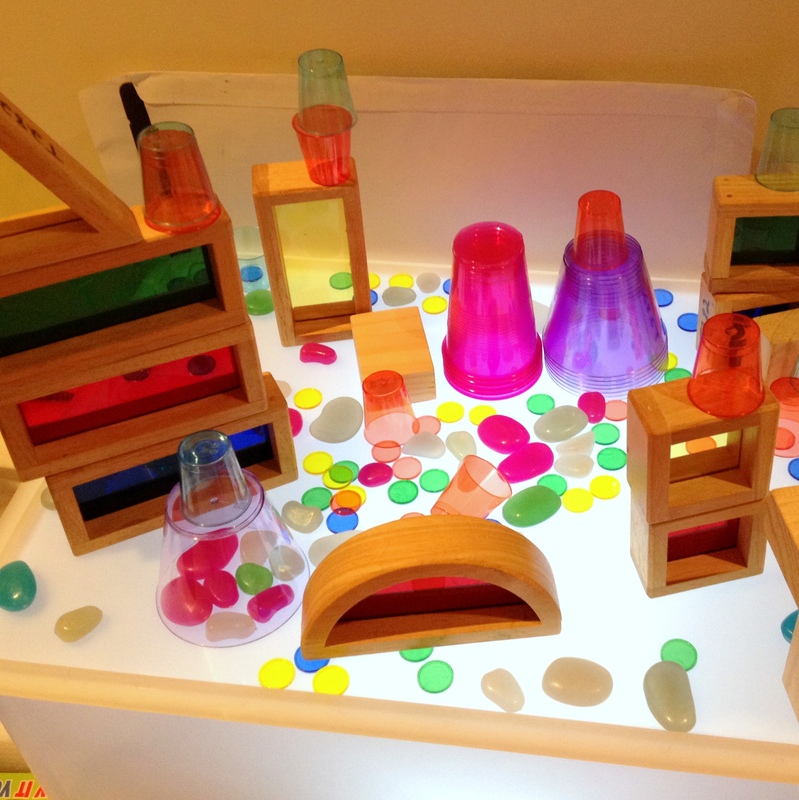 Lightbox can play an important role in a Reggio Emilia Approach. It is an excellent way to allow the child explore light, shadows and reflection. It works well with anything that has some translucent qualities. You can make your own Lightbox a lot cheaper than buying a ready made one. There are different light source you can use. Battery operated LED ones are easier to work with. No wires or dangerous mains voltage involved. Put the aluminium foil at the base of the container (apparently it reflects the light even better). Close the lid and start playing. Here’s one of the example, I put some blocks and translucent cups. 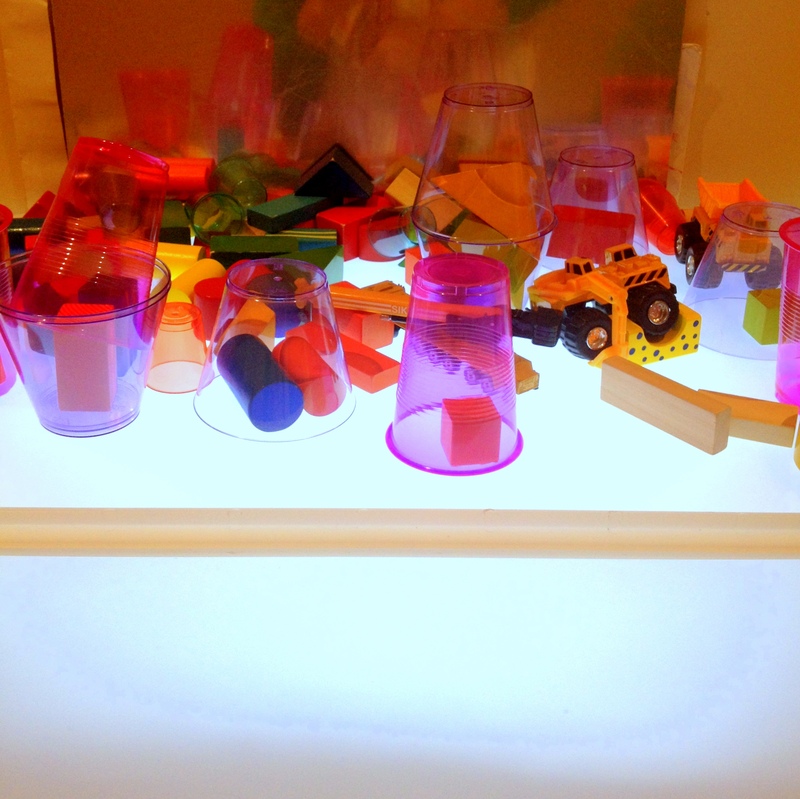 Posted in Sensory PlayTagged DIY, Early Childhood, Lightbox, Reggio EmiliaBookmark the permalink. Thanks for sharing – I’ve been itching to do one of these for my playgroup!